Welcome to the September issue of my eNewsletter! Can you believe the Toronto International Film Festival is half over? 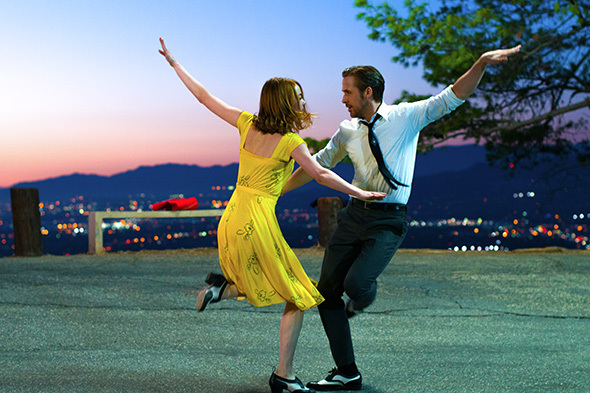 The city has been playing host to a large number of filmmakers and stars, nut of course, it's really about the movies - if you want to know which films are generating the most buzz, check out the article below! 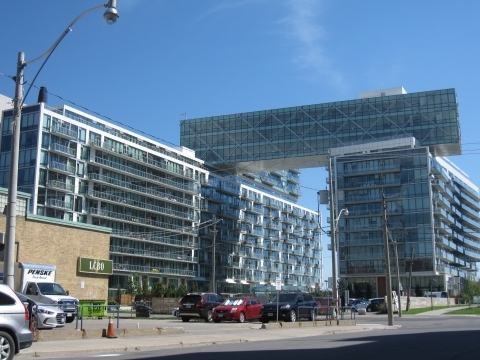 August was a busy month for the Toronto real estate market - over 9800 properties changed hands. You'll find that piece below as well, with some articles I think you will enjoy. This month's featured listing is a luxurious two-storey townhouse on Queens Quay East with two bedrooms and den which could be a third bedroom. Referrals are the best compliment you can give. If you or someone you know, are thinking about making a move this year, please call today! *Associate to: ELLI DAVIS (Sales Representative, Royal LePage) - Celebrating 33 years in Real Estate! Steps To Harbourfront & Lake Ontario! Approximately 1,747 Square Feet + Terrace. Going into TIFF, not all movies are buzzed about equally. Some have way more anticipation and chatter swirling round them than others, and are the ones everyone is eager to get tickets for. Because who doesn't love being able to say "Oh, I saw that at TIFF" when the rest of the world catches up with these films in the coming months? Toronto chefs keep finding inventive new ways to put the fun between buns. 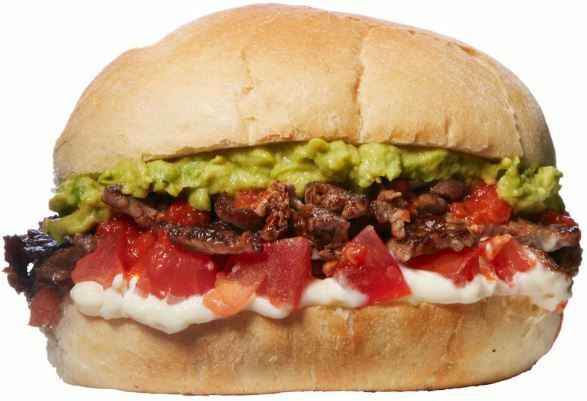 For this ode to Chilean street food, a fluffy white bun with a swipe of mayo and two house sauces (hot and sweet red pepper), envelops thinly sliced beef, mashed avocado and chopped tomato. 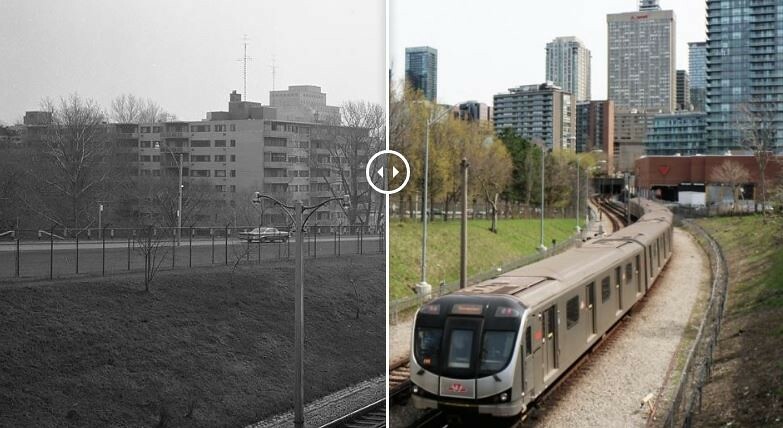 To the north of the booming Bloor and Yonge intersection lies the decidedly quieter neighbourhood of Rosedale. Rather than bustling streetscapes and high-rise towers, here, you're more likely to find historic multi-million-dollar homes and quiet, leafy side streets. If you're looking to pre-qualify for a mortgage or are looking to renegotiate, I recommend Michelle Brienza. With her knowledge and experience, she simplifies the mortgage process and will find you the best deal. Click here for the most recent mortgage rates or click here for Michelle's website. Michelle can be reached at 416 272 1173 or by email. "When people come to me and say, 'I need you to design me an addition of 500 square feet on my house' or 'I'm looking for a place to live that's got at least 1,800 square feet,' I say to them, 'Don't tell me how big it is. Tell me what you want to do there. How are you going to live there? 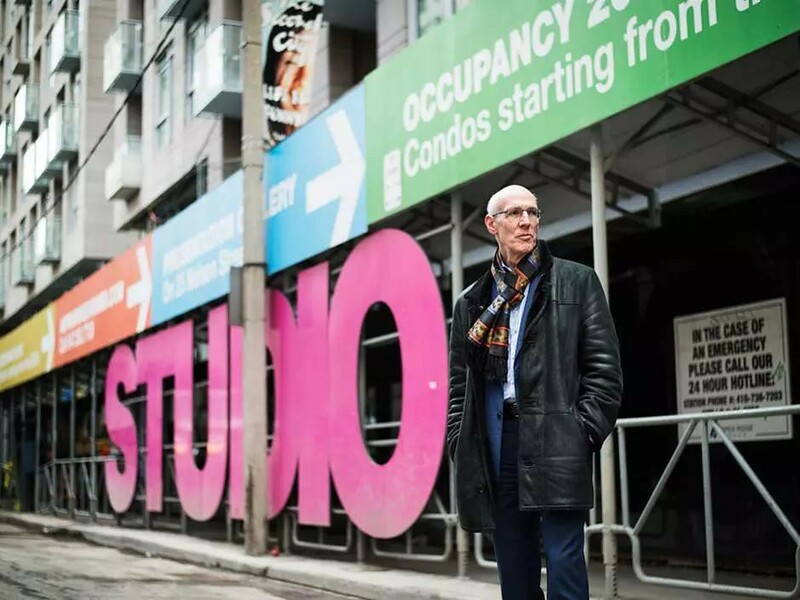 Give me scenarios for living that we can then focus on,'" says Les Klein, founding principal of Quadrangle Architects in Toronto. "Because, there are people who are perfectly comfortable living in 600 square feet. It just depends on their lifestyle." 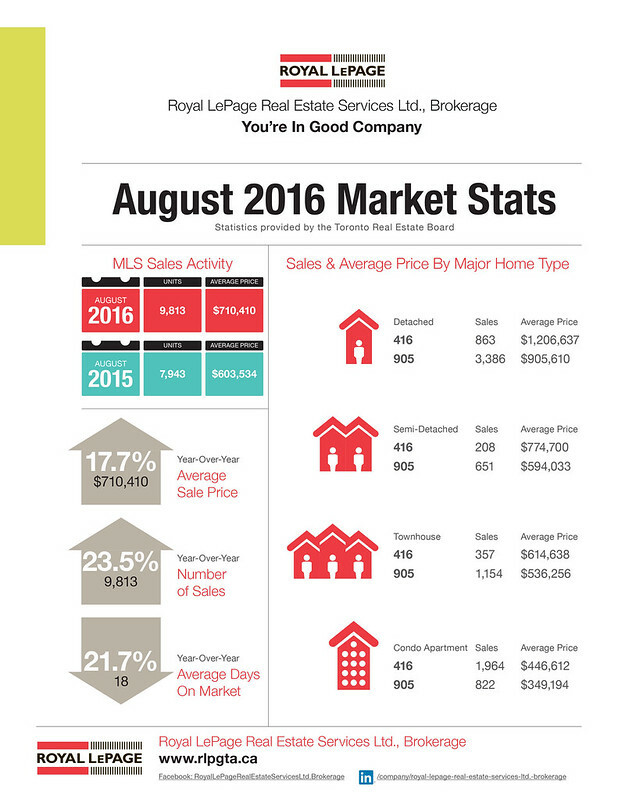 TORONTO, September 7, 2016 -- Toronto Real Estate Board President Larry Cerqua announced that Greater Toronto Area REALTORS® reported a record 9,813 sales through TREB's MLS® System in August 2016. NOT INTENDED TO SOLICIT BUYERS/SELLERS ALREADY UNDER CONTRACT. As provided for under the Privacy Act, if you wish to have your name removed from this database, please click on the 'safeunsubscribe' link below. All Buyers/Sellers should satisfy themselves as to the accuracy of any information provided herein - in particular with regard to measurements, taxes and other data provided in any MLS listings provided by this sales representation.